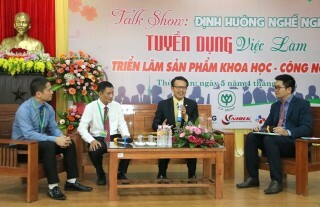 On the morning of March 21, a workshop on “Engaging indigenous peoples and local communities in promoting value chain of biodiversity products” took place in Hue City, with the attendance of 70 delegates from 20 provinces/cities, agencies and units including the National New Rural Office, the General Department of Forestry, the General Department of Environment; Vietnam Academy of Agricultural Sciences, and the Forestry Science Institute, etc. Vice Chairman of the Provincial People's Committee Nguyen Van Phuong (on the left) visits the booths at the exhibition. Promoting the value chain of biodiversity products is a solution that contributes to achieving some sustainable development goals (SDGs), such as SGD1 (poverty), SDG8 (comprehensive and sustainable economic growth), and SDG15 (sustainable use of terrestrial ecosystems and halt biodiversity loss). Moreover, this action will promote the spread of the national "One Commune, One Product" (OCOP) program in conjunction with the restructuring of agricultural production, which was implemented nationwide by the Ministry of Agriculture and Rural Development, so as to create a breakthrough in practical production of high quality products with regional advantages, thereby creating a driving force for sustainable new rural construction. Thanks to the compliance with sustainable production standards, biodiversity products have had increasing quality, with a common production process closely linking with stakeholders, has solved the market problem effectively. 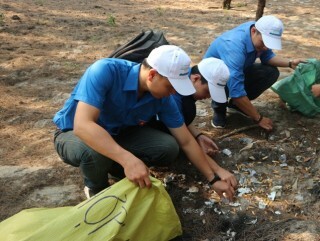 Thus, it can be seen that the sustainable value chain not only has the meanings of livelihood, improving income and the competitiveness of the people and businesses, but it also particularly contributes to the conservation as the people reduce the pressure of depending on natural resources. At the one-day workshop, attendees exchanged and discussed the topics including ‘the issue of linking collective economy of the cooperatives to form and develop cooperatives with organizational models’, ‘some rules’, and ‘the development of human resources’. 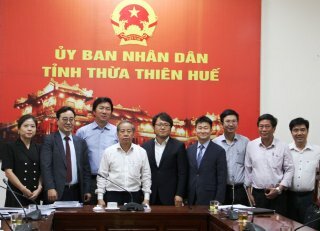 The representatives also collected market experts’ opinions on product development, on market channel development (cooperatives self-producing their products and cooperatives linking with enterprises), and on the products of OCOP program and tourism, as well as the roles of farmers - scientists - entrepreneurs - state; etc. 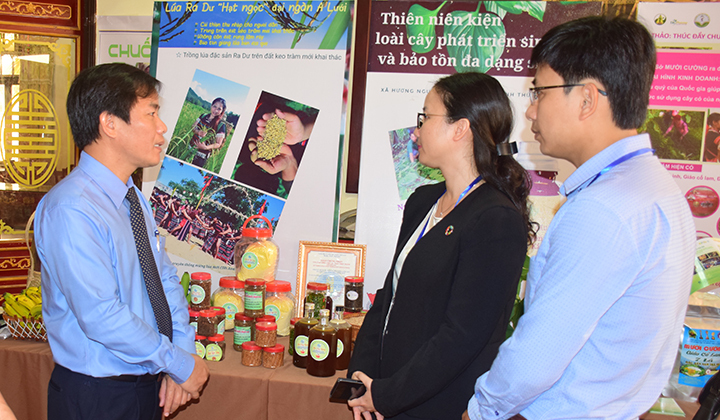 There are 20 booths displayed at the exhibition within the workshop, aiming to introduce and create opportunities to cooperate with ten models of products that have been successfully built their value chain following the standards including VietGap, Global Gap, and Organic for agricultural products, etc. Typically, there are biodiversity products such as the medicine of the Dao people, essential oil, the bon bo tree, the dianella ensifolia plants, the homalomena plants, the Ra Du rice planted on the land growing acacia auriculiformis and camellia chrysantha trees, etc.